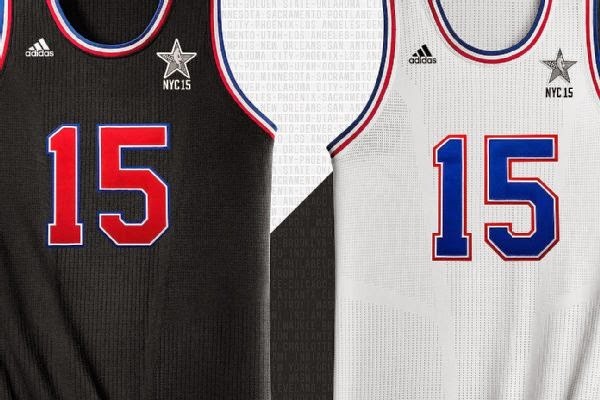 VIA: Following the 2016-17 NBA season, NBA jerseys will no longer be produced by adidas. The brand announced today that it will not be looking to renew its deal with the League after the current contract ends. More than likely, that means either Nike or Under Armour will take over as the official apparel provider of the NBA. It’s rather big news, considering the billion-dollar business that is the NBA. The German company has dropped its bid to extend its apparel contract with the league and instead will focus on developing new products, endorsing more amateur teams and doubling its roster of NBA players. The company, which has its North American headquarters and basketball division in Portland, has been the league’s apparel partner since it signed an 11-year deal in 2006 for a reported $400 million. The company has been in talks with the NBA about an extension since 2012 but this month decided to walk away. Chris Grancio, Adidas’ global basketball general manager, said the deal hasn’t been as lucrative as hoped. Adidas has been unable to make up lost ground with Nike and its Jordan brand, which account for roughly 96 percent of the basketball shoe business. Grancio expected to inform the NBA of the decision Monday morning. Adidas also recently lost the No. 2 spot in U.S. athletic apparel sales to Under Armour. It remains a distant second to Nike in global sales. With Adidas out of the picture, Nike or Under Armour will likely be the league’s apparel partner starting in 2017. Each is expected to bid on the contract. It remains a core part of the company’s business with annual sales around $1 billion, including basketball-related sales in other Adidas divisions, Grancio said. “We’re going to invest more money in basketball over the next five years than we ever have,” he said. The decision to part with the NBA coincides with Adidas’ next five-year plan, which will be released in March and run until 2020.